The 340Buzz: The battle for the future of 340B rages on - Sentry Data Systems, Inc. The 340Buzz: The battle for the future of 340B rages on - Sentry Data Systems, Inc. 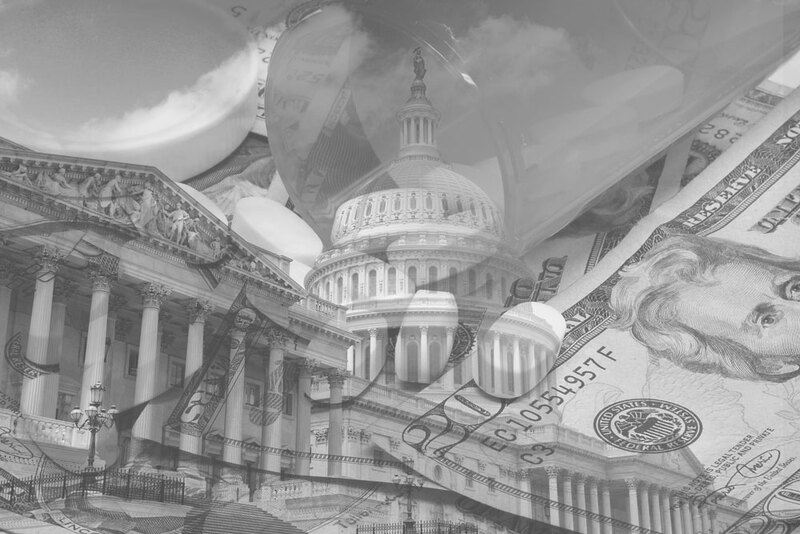 In this month’s buzz: HHS appeals the court’s recent decision regarding the Part B reimbursement cuts; the administration announces its 2020 budget, which includes several 340B initiatives; an executive order in California could put the program in jeopardy; a new bill focused on rural hospitals is introduced in the House; and a report from Drug Channels Institute touches on 340B. Updates on the much-talked-about 340B reimbursement cuts and the resulting legal actions can be broken down into news regarding the 2018 cuts and information relating to the newer, expanded cuts that took effect starting in 2019. 2018 payment cuts update – In December of last year, federal D.C. district court Judge Rudolph Contreras ruled that HHS had overstepped its authority in implementing the steep Medicare Part B reimbursement cuts to the 340B program that took effect in January 2018. Late last month HHS filed to appeal that decision. And on March 5, the government filed a brief (agreed to by AHA and the other plaintiffs) in which they requested that the court “hold the appeal in abeyance until the district court resolves the question on the scope and implementation of relief so that this Court can resolve any appeal regarding the scope of the injunction along with the underlying lawfulness of the Secretary’s action,” according to Inside Health Policy. There is some doubt about how the situation should be remedied given that HHS overstepped its bounds. Requiring HHS to retroactively pay the hospitals back the money they lost as a result of the cuts would be burdensome to the government, yet hospitals argue there are ways this could be overcome. The March 5 brief recognizes this dilemma and requests that the appeal be put on hold until an appropriate solution can be agreed upon. 2019 payment cuts update – In addition to the 2018 reimbursement cuts, January 2019 saw the cuts expanded to previously exempt off-campus providers when CMS finalized changes to the Medicare Hospital Outpatient Prospective Payment System (OPPS) and Ambulatory Surgical Center (ASC) Payment System. In reaction to the expanded cuts, last month the hospital groups suing HHS filed a motion to request that the 2019 payment cuts be added to their original suit, which would mean that the 2019 cuts would also have been outside of HHS’ purview. HHS responded with a motion of its own, requesting that the court dismiss the 2019-related claims. At the time of this publication, courts had not reached a decision on this front; all judicial action will therefore still be handled separately for the 2018 and 2019 rulings and no retroactive repayments are planned at this time. HHS has requested that, should the courts rule in favor of the hospitals in either case, HHS should be allowed to craft an appropriate solution to remedy the problem on its own, while hospitals have requested that the courts order CMS (the agency within HHS administering the Medicare Part B program), to recalculate payments due to 340B hospitals during the time when the now-unlawful cuts were in place. No decision had been reached as of the time of this publication. Regarding 340B, the new budget proposal suggests modifying “hospitals’ payment for drugs acquired through the 340B drug discount program by rewarding hospitals that provide charity care and reducing payments to hospitals that provide little to no charity care.” This suggests that for hospitals that reach a certain threshold of charity care, reimbursement rates would be higher. For hospitals who don’t meet the threshold (which is not specifically spelled out in the proposal), their 340B payments would be reduced and the savings forfeited to the Medicare trust fund. Such fluctuating reimbursement rates are yet are another attempt on the part of the government to reduce the overall payments it must make to covered entities. The new budget plan also re-proposes implementing 340B “user fees,” a move which has been suggested by several previous administrations but has never gotten Congressional approval. The budget suggests that for every purchase covered entities make under the 340B program, they would also pay a fee of 0.1% of that purchase price to HRSA to help fund ongoing maintenance and oversight of the program. It is estimated that implementing such user fees would result in $16 million being paid to HRSA annually. On March 12, the House Committee on Energy & Commerce held a hearing to discuss the HHS budget proposal. During the meeting, republican Congressman Larry Bucshon questioned HHS secretary Alex Azar, asking Azar what types of charity care and 340B reporting requirements for covered entities the government would support. In January of this year, New Democratic Governor Gavin Newsom of California “issued an executive order requiring all state agencies to consolidate into a single drug purchasing entity that will negotiate with pharmaceutical companies together,” according to the Community Oncology Alliance. The goal of the order is to “put together hefty negotiating power against pharmaceutical companies,” as Modern Healthcare reports. The plan could save the state significant money when purchasing drugs for those patients insured via Medicaid. However, damage to CA hospitals that participate in the 340B program could be the unintended side effect. Currently, most of California’s Medicaid population is covered under Medicaid managed care plans. In these plans, hospitals can bill the insurers for their own negotiated rates, which are often higher than what the hospitals paid for the drug under the 340B program. This leads to larger profits for the 340B hospitals. “If successful, the California program could be a model for other states searching for ways to combat high drug costs, at the cost of 340B savings for struggling safety-net hospitals,” according to law firm Bricker & Eckler. This order may be a violation of group purchasing guidelines within the 340B law, preventing entities access to the lowest cost drugs available. As always, Sentry will remain engaged with government leaders to stress the importance of 340B access. On February 25, Representatives Collin Peterson (D-MN) and Scott Tipton (R-CO) reintroduced the bipartisan Rural Hospital Frontier Fairness Act. The act would extend the “Floor on Area Wage Index for Hospitals in Frontier States” to “any Sole Community Hospital located within 75 miles of a Frontier State’s border,” according to Congressman Peterson’s website. “The legislation also qualifies the same facilities for automatic participation in the 340B drug program.” This would significantly increase the number of Sole Community Hospitals that are eligible for 340B, as the current eligibility only extends to those SCHs that maintain a disproportionate share patient population of greater than eight percent. The 340B Program is one of the “crucial healthcare trends that will affect PBMs and pharmacies” discussed in the report, along with benefit designs, drug pricing, rebate system reform, narrow networks, and more, the release notes. 340B topics covered include contract pharmacies, covered entities’ profits, and a 2019 outlook. Sentry will continue to monitor judicial and regulatory changes affecting the 340B program and our covered entity customers. We expect more to come yet this year, including progress on several bills that have been introduced, more news on the proposed IPI model for Medicare Part B drug reimbursement, and the much-anticipated government ceiling price website following the Civil Monetary Penalties Regulation that took effect January 1. We encourage our 340B customers to stay abreast of these developments as well, continue to make your voices heard to your legislators and reach out to Sentry with any 340B compliance or management questions you may have.